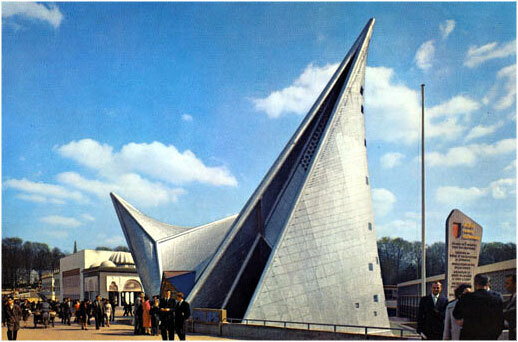 Upon the invitation of the Philips Company, who wanted to make themselves known at the World Fair in Brussels in 1958, Le Corbusier suggested the project of a pavilion. Iannis Xenakis designing the architecture and Edgard Varèse rendering the pavilion musically. Have a look on the following link on Poème électronique.